Like most enthusiast community vehicles, the Chevy K5 Blazer has a dedicated and loyal following. There a plethora of resources online include many owner forums where you can find tons of useful information. From write-ups to tech advice and everything in-between; check out the following forums below as a place to get data and connect with other K5 Blazer enthusiasts. Please note that links presented below are to 3rd party websites and are no affiliated with BlazerForSale.com – If you would like to see your website listed below please Contact Us. Ck5.com is the most popular Chevy K5 Blazer forum and resource site on the internet. With tons of active threads and a focus on technical information; this is probably the best place to start. 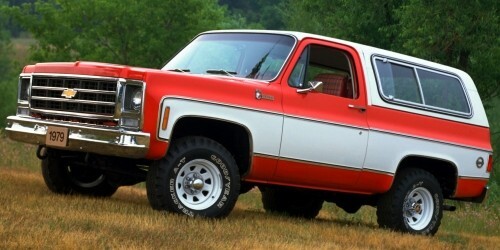 Chevy K5 Blazer is another robust forums with tons of active threads, discussions and resources. ChevyK5Blazer.com also has an extensive Frequently Asked Questions (FAQ) section. Blazer Forums has a broader view of the entire Chevrolet Blazer marque and includes other models outside of the K5 specific ones. The K5 section is a bit less active then the forums above. K5 Blazers Plus is the least active of the K5 focused forums however there is still a lot of good information on this forum. You will alos find unique groups on Restoration, 4 Wheeling and more. Listed below are some other more broad forums that have specific K5 Blazer threads and discussions. They might be other good resources if you do not find what you are looking for in the sites above.